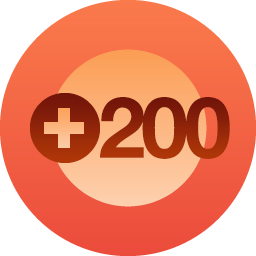 Word press just let me know that I now have over 200 followers! I can’t tell you how much this means to me. As I’ve mentioned before, I spent much of my life hiding who I really am, leading to deep depressions and suicidal feelings. I grew up so judged by my peers in my small home town and seemed to face that judgement and rejection many of the places I lived. So I started this blog to come out of the closet as a left wing, way left wing political and social activist and deeply metaphysical/spiritual person, not wanting to hide anymore but to share my deepest thoughts, feelings, desires and dreams with whoever chose to read my words. Even if no one had wanted to read my words, I needed to share them for me, for my own healing and welfare. So to end up with 200+ followers is amazing to me. That you all want to read what I share, is such a gift. And then….a bigger gift I hadn’t planned on is the relationships I would build along the way. I came from a small family to begin with and my birth family is all gone. I’m single as well. So it has meant a lot to me to get to know many of you and share your lives, your dreams, your desires, your successes, your challenges. Thank you so much for letting me into your lives! I hope you will continue to enjoy my blog and all I choose to share with you, as I enjoy your posts as well.